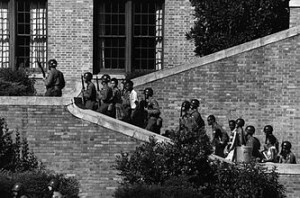 The Little Rock Nine were a group of nine African American students that volunteered to desegregate the Little Rock county school system by attending the all-white Little Rock Central High School. 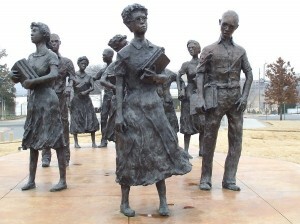 The nine students were; Thelma Mothershed, Elizabeth Eckford, Melba Pattillo, Jefferson Thomas, Ernest Green, Minnijean Brown, Carlotta Walls, Terrence Roberts, and Gloria Ray. 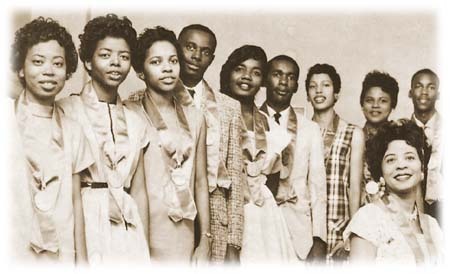 All of the Little Rock Nine members were given the Spingarn Medal from the NAACP (National Association for the Advancement of Colored People) in 1958 and the Congressional Gold Medal from President Bill Clinton in 1999. Thelma Mothershed was born in Bloomburg, Texas on November 29, 1940. She attended Dunbar Junior High School and Horace Mann High School before transferring to Little Rock Central where she completed her junior year of high school (Thelma, 2011). After high school Thelma attended Southern Illinois University and received her Master’s in Guidance and Counseling and also received an Administrative Certificate in Education in 1964(Thelma, 2011). Since then she has worked in the St. Clair County Jail in St. Clair Illinois and also as an instructor of survival skills for homeless women at the American Red Cross Second Chance Shelter for the Homeless(Thelma, 2011). In the year 1989 Thelma Mothershed was recognized by the East St. Louis Chapter of the Top Ladies of Distinction and the Early Childhood-Pre Kindergarten Staff as an Outstanding Role Model and National Humanitarian Award in 2005 (Thelma, 2011).